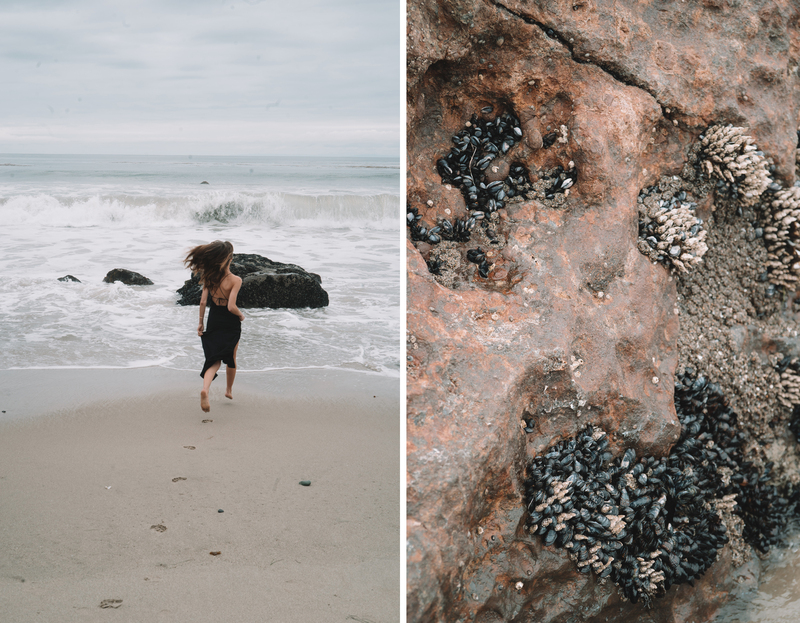 There’s a hidden beach in Malibu that I always go to – there’s usually nobody there, no matter how sunny or gloomy it is that day. Unlike other beaches around, this one is very small and narrow, closed off on two sides by big rocks. 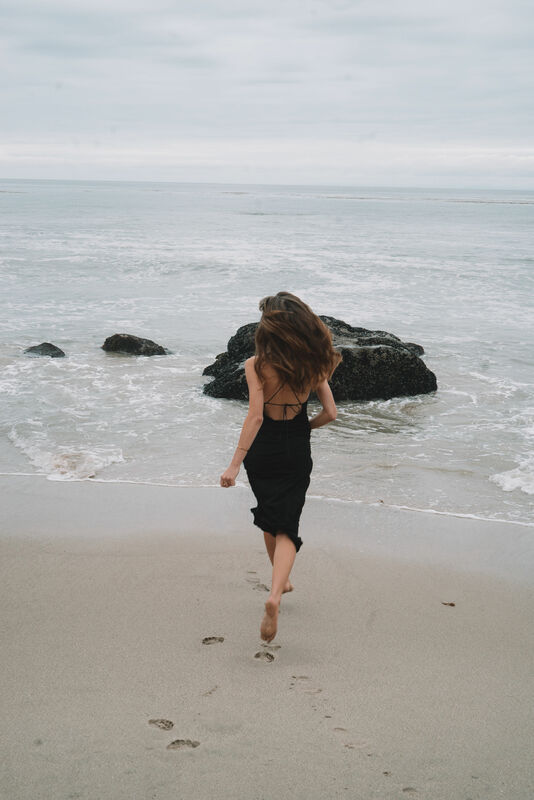 It’s just you and the ocean. And even though I’m not there very often, it’s one of the places where I feel most happy. Jest jedna plaża w Malibu, którą zawsze odwiedzam, kiedy jestem w pobliżu. Z reguły nie ma tam żywej duszy, nie ważne czy świeci słońce czy pada deszcz. W przeciwieństwie do innych plaż w okolicy, ta jest malutka i wąska, a z dwóch stron otaczają ją wielkie skały. Można się poczuć tu sam na sam z oceanem i chociaż nie często tu bywam, to właśnie tu czuję się najbardziej szczęśliwa. There’s something so soothing and beautiful about it. And you know me, I don’t really swim but I just love standing at the beach and looking at the waves. No wonder people are paying millions to have a house with the view of Malibu. There’s really nothing like it. 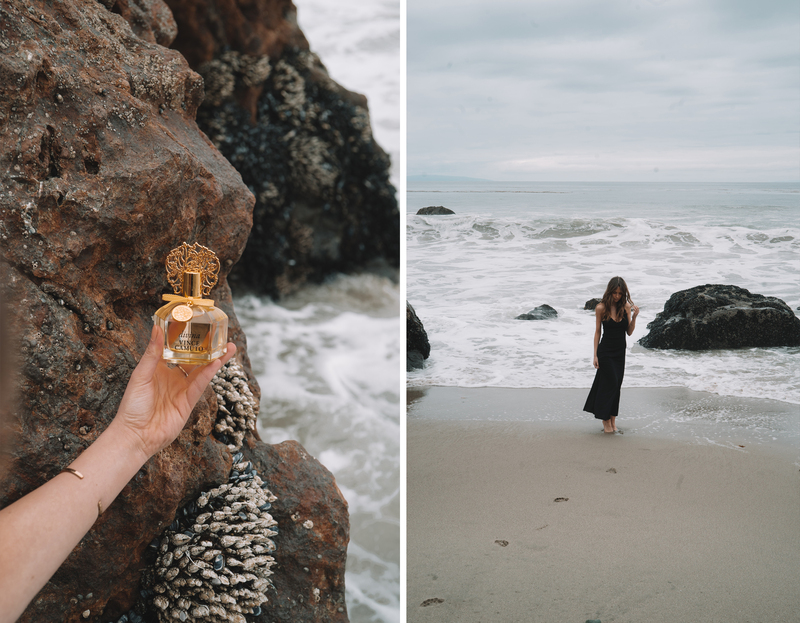 Today I wanted to introduce you to Vince Camuto’s new fragrance Divina that inspired these photos. It’s a warm and fruity scent that reminds me of summer and just enjoying the moment. 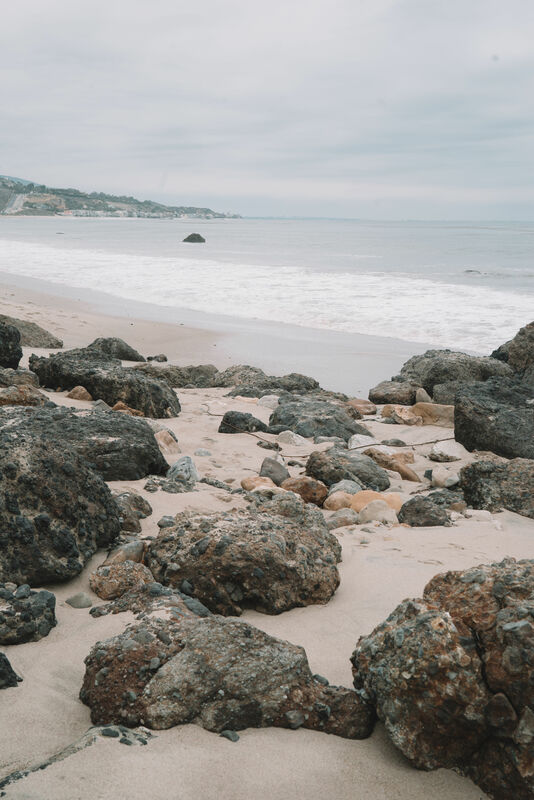 It’s been a staple in my get ready routine (especially when it’s gloomy outside and I need a little pick me up) and to be honest, I just LOVE how well it photographed in the Malibu surroundings. What do you think? Wow, seriously incredible! ❤️ I have a little spot like that to myself here in San Diego too! It’s really the most peaceful & so stunning! Thanks for sharing your gorgeous photos love! Weronika, thanks so much for the post.Really thank you! Keep writing. mogłabym zapytac co to za sukienka? Cudne zdjęcie i delikatna stylizacja z harakterem. Po prostu idealnie. Piękna stylizacja w pięknej scenerii!